There’s nothing nice about the disputes that can arise over a family inheritance. Some of them can get downright nasty for any number of reasons as siblings feud with one another over the family finances. It can get even worse when children and step-parents go to war for ownership of a mother or father’s personal assets and other belongings. These battles can cause irreparable damage to a family with all of its loved ones going to court and becoming estranged from one another for the rest of their lives. Sometimes you can see the storm coming. Family inheritance disputes can be triggered by long-standing sibling rivalries or socioeconomic disparities between beneficiaries. They could also be set off by late marriages where the spouse is much younger than the deceased. Issues in which substance abuse or elder abuse is evident by one or more beneficiaries can also provoke discord. These are all serious matters that can spiral out of control and cause significant problems for the loved ones you leave behind. However, it doesn’t have to be this way. You can take some necessary steps to avoid these potential problems from turning into real conflicts among your beneficiaries. Not every family is going to tear itself apart over the estate of a loved one. You can prevent your heirs from going to war over your personal property after you pass with some crucial actions before your demise. Taking these precautions now can stave off any conflict later. Thus, everyone knows what they are entitled to when the time comes to split up the estate. The easiest way to trigger family disputes is to keep everyone in the dark about what they are inheriting from you. It’s difficult enough to lose a beloved family member, particularly a parent. That grief can be greater exacerbated by the discovery that they aren’t inheriting what they anticipated from the deceased. While greed might be the first response to such a disappointment, it’s typically a feeling of sadness and confusion that is at the heart of these feelings. They won’t ever be able to ask the deceased why they didn’t leave them an equal share in the estate or gave a prized possession to another family member. A will can be read to heirs who are only being informed at that point in time what they are receiving from the deceased. That confusion and sadness can quickly turn to anger and resentment. Not so much of the decedent, but of the other family members who are gaining assets that one or more individuals feel they deserve instead. The best way to head off all of these squabbles is by making your wishes known up front, in advance of your death. When you come to these important decisions about who is receiving what and why, placing them into your will takes care of putting your arrangements in writing. However, it doesn’t necessarily quash any animosity that might come as a result. Therefore, you might want to tell each family member what you plan to leave them while you are still alive. Sit each one down separately or call them all together. Explain your feelings on the matter of dividing your estate. Give them the reasons behind your thoughts on who will be receiving the portions of your assets and belongings. It can help alleviate the pain and frustration that can fuel those feelings of anger, which are the ones at the heart of most family conflicts over a loved one’s things. It’s possible that your family members may not agree with your explanations. There is very little you (or they) can do about it since these are the choices you have made. They are yours to make alone. Let each one know you have put careful consideration into what everyone will be getting at the time of your passing. It can quell the fights and arguments that can come up between family members who feel jilted by the arrangements you have made in your will. It pays to pick the right executor of your estate because it can go a long way to avoid fights between your family members. Many parents will typically turn to one of their children to watch over the estate. Though, this can actually be the root of eventual disputes. The other children may disagree with making that sibling the executor. That is true especially if that person doesn’t seem like the right choice. They may be considered incompetent or irresponsible by the rest of the family and causes conflicts from the start. That’s why it’s very important to consider an executor based on their qualifications for the job. Select someone who has the skills and temperament for the position. Choose somebody who won’t raise any suspicions or discord from other inheritors. You want someone who is going to be upfront and communicative with all pertinent parties who stand to inherit a portion of your assets. All of your paperwork related to a will or trust should be updated every few years as circumstances in your life or family change. A marriage or divorce of your beneficiaries, the birth of a child, or the passing of a beneficiary should all be reflected in your documents. That way your wishes are up to date at all times. Staying active in providing for your beneficiaries at the time of your death will dispel any notions that your will doesn’t represent your wishes. The easiest way to start a dispute is for certain family members to think that your will was out of date. They may claim you meant to make changes in their favor but never had a chance to do so prior to your demise. It can also be the cause of inheritors feeling like they are being excluded due to influence from another inheritor who made your decisions for you. The more out of date your will or trust appears to be when it is read, the more leeway family members have to contest it among one another. These challenges inevitably end up in court where sorting it all out can take years of animosity and fighting. Should you elect to work with an attorney to assist in the planning of your estate, it’s extremely important that you do so solely on your own. Some of the best life insurance companies also provide you with the right advice to help get your estate in order. Whichever choice you make for organizing the distribution of your assets, it is a very sensitive relationship. It can be identified as the source of disputes later on. To avoid potential conflicts, you should interact with your attorney or adviser independently of any other individuals who might be named in your will. Keep all conversations private between just the two of you. It is important to make everyone else feel as if the decisions you made were yours and yours alone. 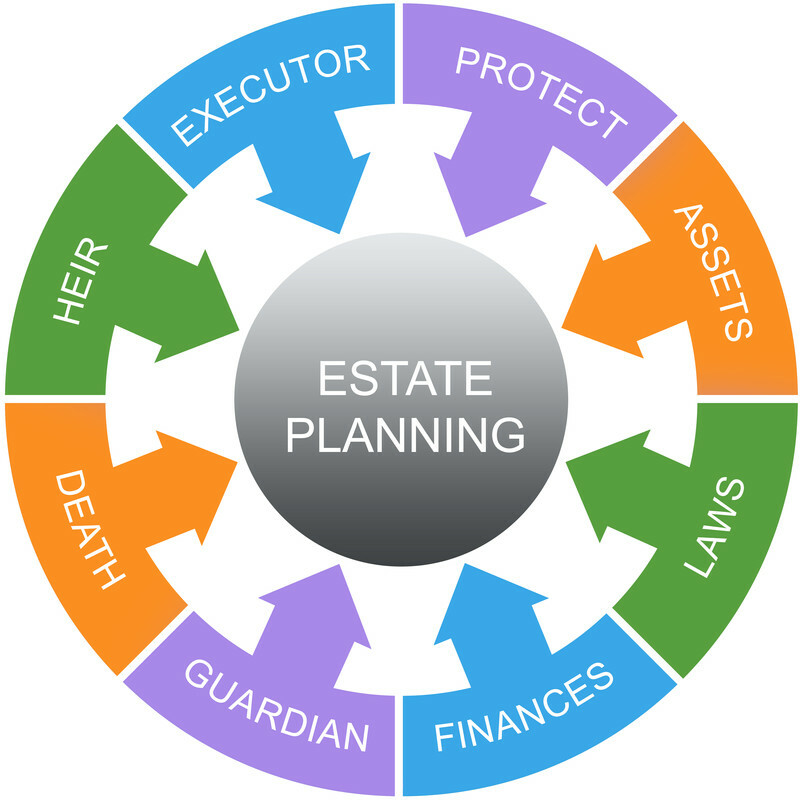 Let us say you are taken to the office of your attorney or any accountant, banker or another individual who is assisting your estate planning by a family member or other person. It’s important that you are sure to keep that person separate from your consultations with that attorney or other professional you have selected to help tend to your affairs. If not, your wishes could be contested by offended parties who believe they deserve a bigger piece of your estate. They could claim that you were influenced by that outside party who drove you to your attorney’s office. They may say your decisions were affected by that person. It leaves the door open to suspicions of impropriety and undue influence if an inheritor feels they aren’t getting what they feel they should receive. Drawing up irrefutable documentation in a private setting with an impartial attorney will go a long way to preventing fights among your relatives. That is because there can be little to no question that this paperwork represents your last wishes and was drawn up without anyone else’s input. Co-owners on a checking account or other financial vehicle may sound like a good idea at the start. This is because adding another individual to that account can give that person the power to manage your finances in your stead. It’s a simple way to make sure bills and other debt obligations are met if you are unable to do so on your own. However, this can actually bring on more headache than you expect. That is because making someone a co-owner of an account gives them the ability to claim the balance of the money in that account when you pass away. This will inevitably create problems among other inheritors who are expecting to receive a share of the funds in that account. That is due to the fact that any co-owner named on the money has every right by law to keep all of it. You may not have intended for that to happen by naming a co-owner. However, it’s too late to change that reality after you pass. If you wish to make a co-owner the sole beneficiary of a checking account, you may want to entrust that money to someone else by giving them power of attorney on the account instead. That way they have the access to manage the funds but they will not legally inherit the balance within. The only legal rights they have in this case are to carry out your wishes upon your death. This might include dividing the money among your beneficiaries or any other instructions set forth in your will. Who Stands to Inherit Your Assets? Whether it’s your spouse, your children, or other members of your family like uncles, aunts, nieces, and nephews, you have the right to name whoever you wish as a beneficiary in your will. That consideration can also extend to friends, associates, organizations, charities, or caretakers as you see fit. Yet, there are some laws that protect certain parties’ rights as to who can inherit your assets. For example, a majority of states prevent a surviving spouse from being left out of a will. There are also community property states that provide specific rules for splitting up assets and other property after death. The states where community property laws are in effect include Arizona, California, Idaho, Louisiana, Nevada, New Mexico, Texas, Washington, and Wisconsin. Alaska has similar legislation on the books. However, it is only binding upon an executed agreement between the two spouses declaring their possessions as such. Community property is defined as half ownership of all assets and belongings acquired during the marriage by both parties. This arrangement can be superseded by an agreement signed by both parties declaring that their assets are not governed by that state’s community property laws. Deciding who inherits what upon the death of one of the married parties is pretty straightforward in community property states. Each spouse may do as they wish with their half of the community property. Additionally, that includes any assets and property that remains separate from what was earned in the marriage. Therefore, you may elect to bequeath your half-share as well as any separate property to any heirs which may also include your spouse. The remaining states that do not have community property laws in place offer no hard and fast mandates governing property earned during the course of the marriage. However, many of these states do have laws in place to protect the spouse from being completely omitted from the will of a deceased husband or wife. 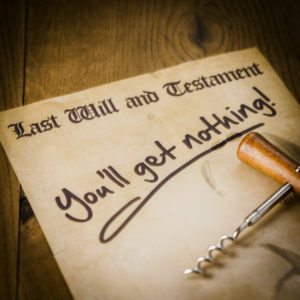 In such cases, the state will allow for the surviving spouse to claim as little as one-third to as much as one-half of their deceased spouse’s assets and belongings regardless of what is written in the will. The amount that a spouse may claim from the deceased may also be determined by the length of the marriage. However, in order for your spouse to make the claim allowed by state law, they must file a motion in court to take what he or she feels they are owed. Let’s say you include your spouse in your will but give them less than the one-third or one-half to which they may be entitled, and provide no objection to your wishes. Then, the instructions made in the will are adhered to as stated and no other claims are valid. Divorcing a spouse before your death changes what they are entitled to once you pass. Once divorce proceedings are finalized it will end any claims that they may have to your belongings in your will. If you divorce, you should update your will to reflect this change in your life. That way, any property cannot be claimed by your ex-spouse. You may then choose to leave that individual out of your will or allow them to inherit part of your estate at your instruction. Under most state laws, children have no automatic claim to inheriting property or assets from a deceased parent. There are certain stipulations governing the rights of children to claim a portion of their parent’s property in a number of states. Florida puts restrictions on who may receive a residence once the head of a family passes away. They may only bequeath the residence to a spouse or child if they are both still living. This protects the surviving family members from being thrown out of their home in the event the homeowner dies. There are also laws on the books in most states that prevent a child from being disinherited by accident or oversight of the deceased. Such mandates take effect if a surviving child is left out of a will due to the parent failing to update their will after the birth of that child. The law assumes that the child would have been included as a legal inheritor except for the fact that the decedent did not revise his or her wishes to account for the disinherited child. Through this scenario, the excluded child would have a legal right to be included in receiving a portion of his or her parent’s estate. Certain states extend these considerations to grandchildren also. Should you decide you wish to exclude a child or grandchild from inheriting any of your property, your will must expressly state that intention clearly. You do not need to explain why you have made this choice. You simply have to name any individuals who are not entitled to any portion of the estate. As a parent, you are well within your rights not to leave anything to your children if you wish to make that decision. While many people might find such a choice to be uncaring, callous, or even cruel, there are often very good reasons for taking this drastic step. There could be certain circumstances that play a role in this choice such as poor financial management skills. There may be addictions that would only be fed with a windfall of money, or they are married to a spouse who could take control of that money in some fashion. Disinheritance is a rather drastic step to take in preventing problems that could be caused by receiving a portion of a parent’s estate. Such actions could lead to significant family inheritance disputes after your passing. However, there are other actions you can take to help avoid triggering any conflicts from your children who have been intentionally left out of your will for any of the reasons stated above. Let’s say you don’t want to disinherit any of your children but are well aware that giving them a large amount of money at one time could spell disaster. There are options that can help regulate what they receive and under which conditions. Face it, some kids just aren’t responsible with money no matter how old they may be. You don’t want to disinherit a child, but you know that giving them an inheritance all at once is a bad idea. You can put the money into a trust and establish a trustee to be responsible for distributing the money to your child as they see fit. The trustee controls the fund and gives out portions to the beneficiary or any other parties entitled to the money under your specific instructions. You decide who will control the money and how often payments are made and in what amount. This is a big responsibility for the individual you name as the trustee. Make sure it’s someone who is trustworthy and competent enough to perform every duty associated with the task. You also decide how long the money is to remain in the trust and the amount that is to be allocated to the beneficiary through the trustee. Per your expressed wishes, those decisions could even be made by the trustee at his or her discretion based upon the actions and behaviors of your child in displaying proper money management skills. This may not be the ideal situation for your beneficiaries. However, if you are going to protect this money from being squandered quickly, it may be the only choice you have to ensure the assets last a long time. This can also help eliminate disputes between beneficiaries who turn to the portions of others when their own part of the estate has run out due to mismanagement. You can’t fully prevent family inheritance disputes from erupting over your estate after your passing. Taking these precautions can go a long way towards reducing fights among your heirs. Most families are more than willing to accept the wishes of the deceased. However, it makes sense to take notice of any possible issues that may come up while you are still alive. The many factors that might contribute to your inheritors getting into conflicts with one another can be identified early. Thus, it will give you ample amount of time to implement the right decisions for the effective management of your estate.